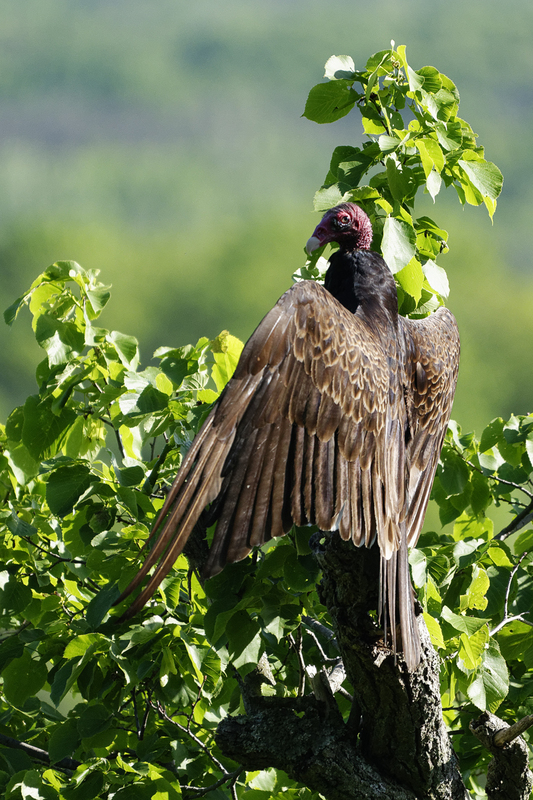 The Turkey Vulture (Cathartes aura) is a frequent sight over Ontario in the warmer months; soaring with their characteristic tipping motion as they look for lunch. Whilst not exactly beautiful birds, in a conventional sense, they are still impressive: their olfactory sense especially, which is primarily how they find food. According to my bird book, gas companies take advantage of this, by putting attractive-(to vultures)-smelling chemicals in the gas and detecting leaks by looking where the vultures gather. These are New World vultures (Cathartidae) and are not closely related to the Old World vultures that we all know from David Attenborough documentaries; the similarities are due to convergent evolution. Precisely where these things belong in taxonomic terms in relation to other birds is apparently still uncertain.